Why did I decide to study English at Langports? When I was in Japan, I was working as a waitress at one restaurant where half of customers were from overseas. However, what I could do was just greeting them in English . 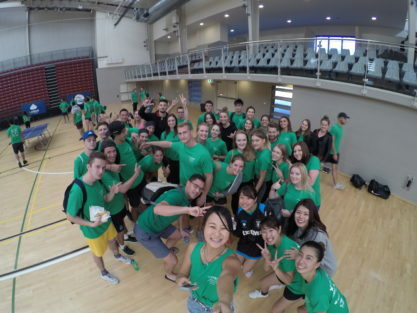 This experience impressed me to study English because I always wished of having a good conversation with them. The reason that I chose to study at Langports was because my education agency advised me to study English here. 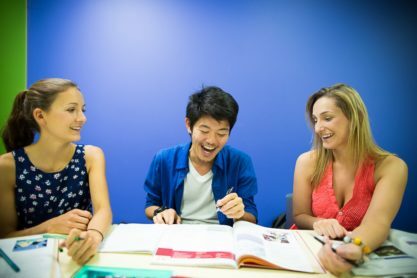 Langports has various courses, such as TOEIC, IELTS and Cambridge, which means that students can study English based on their own purposes to learn it and select their suitable courses. 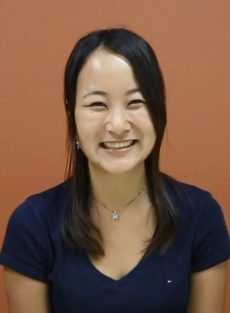 My purpose was to improve my speaking skills and get my TOEIC score up; thanks to the classes at Langports, I could make my TOEIC score go up by 250 points. 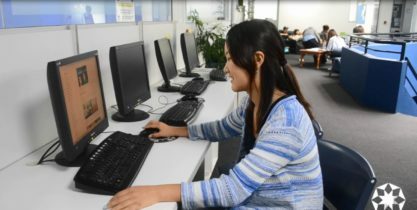 If you consider of improving English exams scores, I will definitely recommend you to take the TOEIC class at Langports! The teachers at Langports always tell us to think in English if you want to improve your English. Many Japanese students look up in the Japanese- English dictionary as I used to do. Although it was quite difficult for me to change the way to study English, I get used to using English only dictionary. When I asked my teachers how I could improve my vocabulary, they suggested me to use some helpful apps and read books. 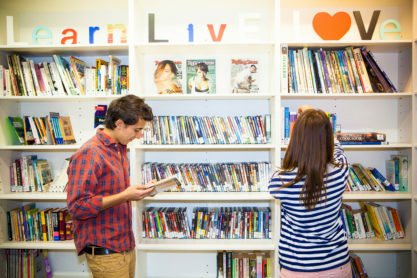 They really understand how to help students improve their English skills and are reliable and helpful. 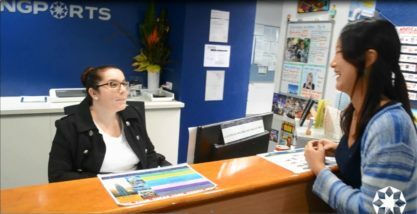 All staff members at Langports are very friendly and helpful. The most surprising thing is that we had the interview with our teachers to talk about our progress, request any extra help from them; we also talk about our future goals and any issues or concerns. Moreover, on Mondays, we had to take the level check test so that every students can take their appropriate courses. The location and facilities of Langports are satisfying. Especially, the library helped me improve my vocabulary and my reading skills because the library has a great variety of books. 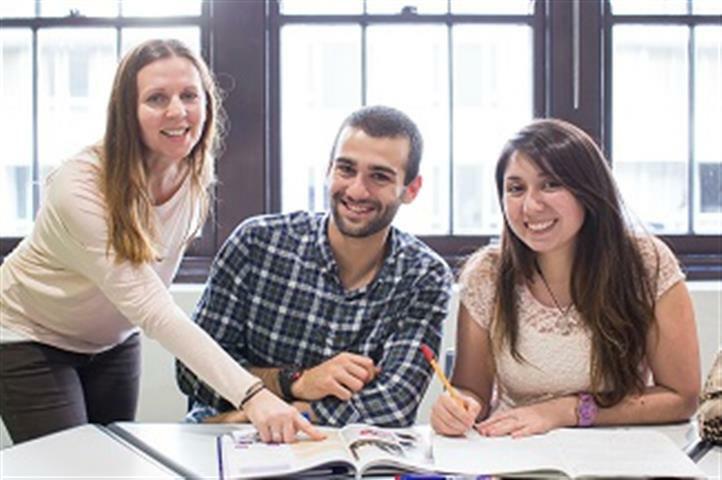 Langports has enough facilities to enable us to study English out of the classroom too! 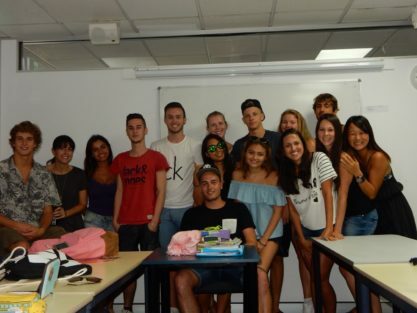 On Mondays, many new students come to Langports and on Fridays, some of my friends graduate and leave Langports, so we organise their farewell party 🙂 Every time I had these opportunities, I could find out how much I improved my English skills. When I just came to Australia, I did not know what I should talk with someone that I have not met before. However, nowadays when I encounter anyone and talk with them, it does not matter that I have met them or not. I am very happy to talk with anyone in English! By leaving Japan and living in Australia, I could notice what kind of problems and advantages Japan has. 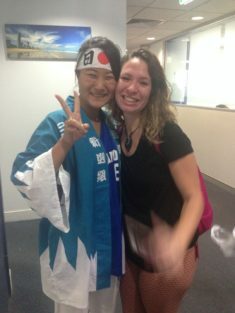 I would like to be the person who can convey the charm of English to talk to foreign people. 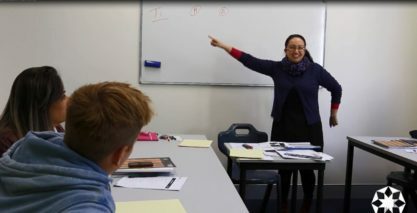 Based on my experience at Langports, I am sure if you come to Langports in Australia, you will spend unforgettable time with amazing teachers and wonderful students!